It’s time to head off on new LEGO® adventures with DK Books and their latest LEGO titles published today. The Build Your Own Adventure packs, combine an exclusive LEGO minibuilds along with a book packed with inspirational LEGO builds. This years titles are themed around the DC Comic Super Heroes and NEXO KNIGHTS sets, with each including another exclusive LEGO build. 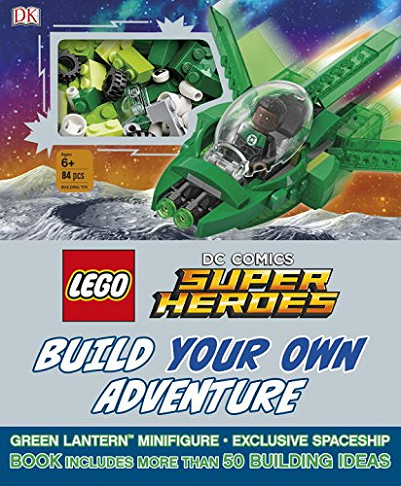 We’ve reviewed both titles and taken a look at the exclusive Green Lantern Spaceship and John Stewart minifigure along with Robin’s Battle Suit. Check out the reviews here and here. Combines more than 50 inspirational LEGO® ideas for building with enthralling LEGO DC Super Heroes story starters. Get inspired to build, then play out your own adventures using your LEGO bricks. Comes with a minifigure and bricks to build an exclusive spaceship model that features in the book. From Paradise Island the home of Wonder Woman™ to the search for Superman™ in Metropolis each chapter of LEGO DC Super Heroes Build your Own Adventure is packed with inspirational model ideas ideal for all ages and building abilities, with a mix of easy, medium and harder models. Combines more than 50 inspirational LEGO® ideas for building with enthralling LEGO NEXO KNIGHTS™ story starters. Get inspired to build, then play out your own adventures using your LEGO bricks. Comes with a minifigure and bricks to build an exclusive Battle Suit model that features in the book. 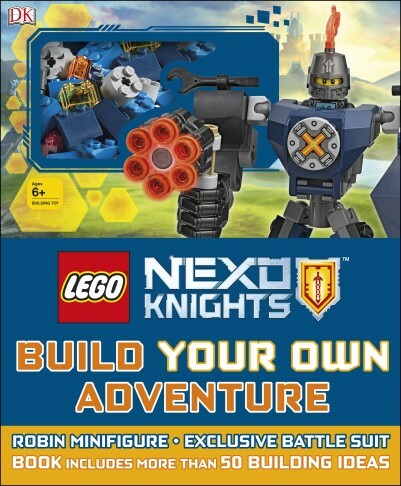 From the King’s feast at Knighton Castle to an attack in the night in the Dark Forest each chapter of LEGO NEXO KNIGHTS Build your Own Adventure is packed with inspirational model ideas ideal for all ages and building abilities, with a mix of easy, medium and harder models. Past LEGO Build Your Own Adventure books are still available now from Amazon and selected retailers.